Sarah Joseph’s teaching and research interests are international human rights law and constitutional law. She has published several books including Blame it on the WTO: A Human Rights Critique (2011); Corporations and Transnational Human Rights Litigation (Hart 2004), co-authoring The International Covenant on Civil and Political Rights: Cases, Commentary and Materials (OUP, 3rd ed, 2013), Federal Constitutional Law: A Contemporary View (Thomson, 4th ed, 2013), A Handbook on the Individual Complaints Procedures of the UN (OMCT, 2006) and Human Rights Translated: A Business Reference Guide (UN 2008, 2nd ed published online at humanrightstranslated.info in 2017). Sarah has also published numerous articles and presented many papers in international human rights law and constitutional law. She was a lead investigator on an ARC linkage project on Multinational Corporations and Human Rights (2002-4), and on a Discovery project on the WTO and Human Rights (2005-7). 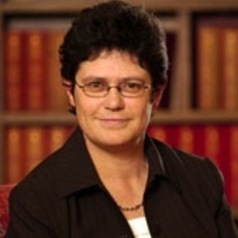 She has led numerous Castan Centre research projects on topics such as disability in schools, Indigenous prisoners, the death penalty, privacy and business and human rights. Sarah has conducted numerous professional human rights training courses for Australian Government and international officials.